One of our most beautiful Christmas customs is the Santa Lucia pageant, this year at 1 and 3pm on both days of this festival. A crown of real burning candles and the traditional Santa Lucia song sung by a children’s choir is free at Harbourfront. Of course you have to pay for traditional grog and other goodies. 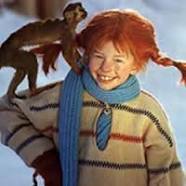 You can take a selfie with the young Swedish heroine Pippi Longstocking and shop for unique Christmas gifts too. Volunteers should be able to tell you the tragic Santa Lucia story. The detailed schedule is at http://bit.ly/1LNG7DX. While you are there, you should be able to take ice-skating lessons too. Please let us know about other interesting festivals in multicultural Toronto.